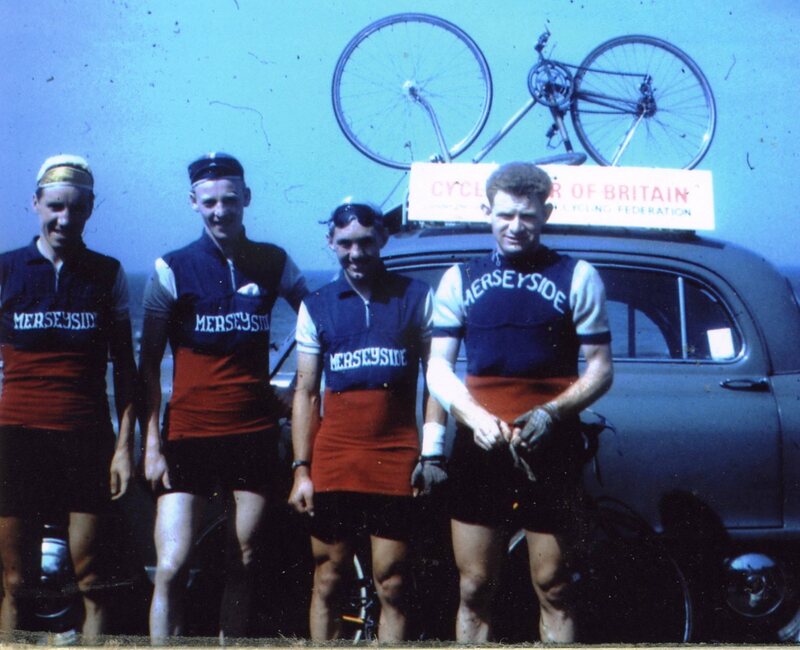 Standing in front of team manager Harry Quinn’s car are, from left, George O’Brien (I think of North Wirral Velo), the late Ken Hill, Liverpool Mercury, Jack Lowe, Southport RCC and Brian Anderson of whom I know nothing. The race was won by Jack’s Southport clubmate Bill Bradley who was riding for the England team. Cav had high hopes of taking the rainbow jersey until he looked at the course for the 263km race. After a start at Melbourne the riders will cover the 15.9km circuit at Geelong eleven times. “According to what people had been telling me beforehand the rainbow jersey was a possibility, but now that I’ve been able to check it out for myself, I’ll have to revise my ambitions,” Cavendish said. In the unlikely event that the Manx spurter can survive the two short but steep climbs each lap he will be faced with a finishing straight rising steadily for 700 metres to the line. Sadly it may be that the race will also be too hard for Oscar but I am hoping that he can take his fourth title. If not Oscar my money is on Philippe Gilbert. Looking through an old cycling mag I came across this comment from Bernard Hinault.